Good morning from Fresh McKenzie! Good morning from Fresh McKenzie Farms! They are hosting several Easter egg hunts over the next few weeks. 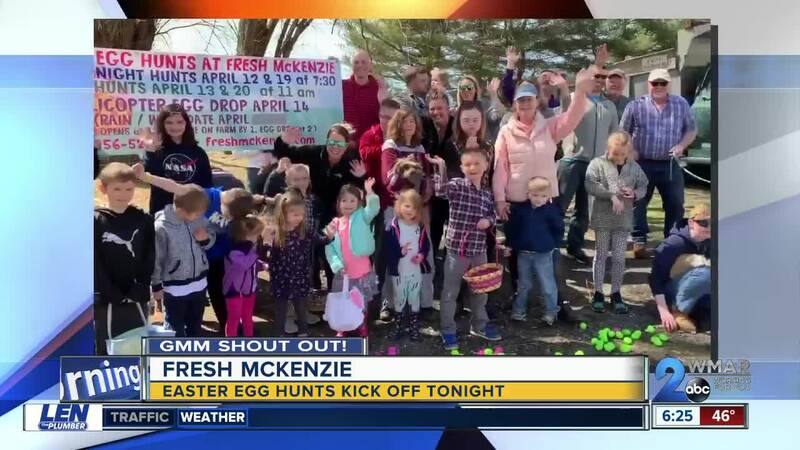 There are flashlight hunts on Friday, April 12 and the 19 at 7:30 p.m. Day hunts are being held Saturday, April 13 and April 20 at 11 a.m. Then on Sunday, April 14, Fresh McKenzie is hosting their biggest Easter egg hunt where a helicopter will drop thousands of eggs for kids to find. That starts at 2 p.m., but you have to be on the grounds by 1 p.m. to participate. For more information click here .